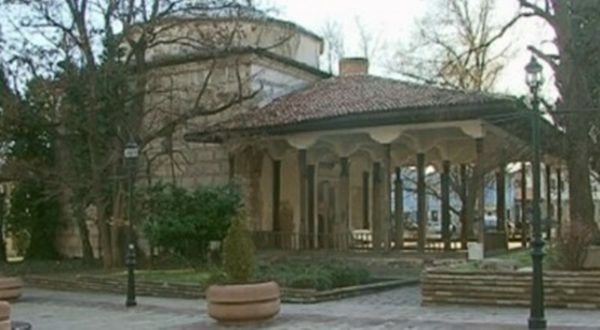 The Lead Mosque in the Bulgarian town of Karlovo is again at the centre of controversy, with Muslims irate about archaeological excavations at the site of the 15th century building. Not in use as a house of worship, the mosque has been the subject of a continuing dispute with the Muslim community having lodged court action in recent years to gain possession of the building. The court action was lodged on the basis of amendments to laws allowing religious groups to claim restitution of buildings. Karlovo mayor Emil Kabaivanov, who previously already had backed objections by local nationalist politicians against Muslims claims on the mosque, announced in a letter made public that he had refused permission for a June 30 protest in Karlovo by Muslims wanting the Lead (rhymes with head) Mosque and other mosques returned to the Muslim community and against archaeological excavations around the mosque. However, on the morning of June 30, he told reporters that his ban of the protest have been overturned by the Administrative Court in Plovdiv. Earlier in June, it emerged that a team of archaeologists led by Bulgarian Academy of Sciences archaeological professor Margarita Vaklinova had found a large Muslim cemetery estimated to date from the 18th to 19th centuries, and also had found small metal artifacts. The archaeologists intend the dig in and around the mosque to continue into July, hoping to excavate a layer dating from Bulgaria’s early Christian period. Local belief has it that before the mosque was built, a Christian church stood on the site. Plans are for the artifacts to be displayed in a future museum of archaeology on the site, and for it to be declared a monument of national significance, which in turn would make it possible for local authorities to apply for European Union funding. The Regional Mufti’s office in Plovdiv has objected to the project, expressing concern that the burial site was being desecrated. Plovdiv Regional Mufi Ersin Ahmed said that “this is a violation of our cemeteries around the mosques”. But Kabaivanov told public broadcaster Bulgarian National Television, “there is no ethnic tension in Karlovo and if anyone wants to import from outside, they will bear the responsibility”. Ahmed rejected this, saying, “we never seek to provoke or do anything that brings ethnic tension. We are seeking our rights”. Kabaivanov, in his letter, said that the Lead Mosque was not a mosque but a historical building and a monument that had been built as a Muslim house of worship but had long since not been used for that purpose. “The word ‘mosque’ in the name is not an argument – the (Sofia) mosque is called Banya Basha (a name that means ‘many baths’) but that does not mean it is a bathroom,” Kabaivanov said. He said that Karlovo had a rich history over the centuries, and the Ottoman period was part of this history, “but a small part”. Kabaivanov said that the archaeologists intended to study the layers carefully and all finds, including the remains of the Muslim necropolis, would be treated with due respect. Claims that the excavations defiled the site were “malicious,” he said. “As mayor, I can guarantee that the intention of the municipality is to preserve the Lead Mosque as a good model of medieval Islamic architecture in our country,” Kabaivanov said. He said that behind the plans for the June 30 protest rally were “other intentions”. “I cannot allow any external disturbance of ethnic peace in Karlovo and the creation of conditions for violation of public order in the city,” he said.